POSTED November 14, 2018 2:26 p.m.
LA CROSSE - The LaCrosse County Public Health Department’s Nitrate Well Water Task Force (NWWTF) published a report and recommendations on nitrate contamination of groundwater in Holland and Onalaska Townships the second week of October 2018. The recommendations included actions for state, county and municipal governments, as well as for private citizens and private onsite wastewater treatment system owners. The report also laid out recommendations for increased regulation of animal agriculture and row crop growing in areas with sensitive groundwater resources. The taskforce was convened after the health department reviewed the Wisconsin Legislative Audit Bureau (WLAB) report ‘Wastewater Permitting and Enforcement: Department of Natural Resources,’ released in 2016. From that, they discovered that WDNR had been aware of elevated nitrate levels in monitoring wells around a confinement feeder pig operation in the county. The operator, Babcock Genetics, had exceeded federal drinking water standards of 10 micrograms per milliliter (mg/L), beginning in 2005. The WDNR had never notified the county of this potential public health hazard. This information only came out after the U.S. Environmental Protection Agency (EPA) intervened in 2016, in the wake of the discovery of well water contamination in Kewaunee County and a record of WDNR failing to enforce wastewater permit rules. Based on their review, the EPA questioned whether the State of Wisconsin was competent to administer provisions of the U.S. Clean Water Act (CWA). The 2016 legislative report found that the WDNR, which is responsible for monitoring and enforcing permit rules for big livestock operations, only issued violations in six percent of the cases in which its own pollution rules had been broken. The LaCrosse County Board Human Services Committee discussed these findings at their July 2016 meeting, and passed a reso-lution demanding information from WDNR needed to evaluate the public health risk. The information they sought included past records and plans for future enforcement of wastewater permits. Data about nitrate levels from the monitoring wells at the CAFO, from January 2010 to November 2016, was received in late February of 2017. Of the 102 test results, 90 exceeded recommended limits for nitrates. Any concentration of nitrates in well water above 10 mg/L is considered unsafe. In March of 2017, after an evaluation of the data received, the LaCrosse County Health Department opened a Department Operations Center and prepared to alert the public. Notices were mailed to more than 2,000 residents, and two press conferences were held in mid-April 2017. By June of 2017, more than 540 wells in the Holland and Onalaska Townships were tested by the LaCrosse County Health Laboratory. Thirty percent exceeded the federal nitrate standard of 10 mg/L, and 60 percent were 5 mg/L or higher, indicating widespread groundwater pollution from human activities. A statewide survey of agricultural chemicals in Wisconsin groundwater conducted between March and August of 2016 estimated 8.2 percent of wells statewide were above 10 mg/L. And while there are no precise water-quality surveys of the galaxy of private wells that serve 43 million people in the United States, sampling by the United States Geological Survey has found contamination in about one of every five wells. Consuming well water with nitrate levels exceeding the federal limit is particularly dangerous for infants and pregnant women. Indeed, the federal standard was enacted in 1997 because of the connection between elevated nitrates and ‘Blue Baby Syndrome.’ Epidemiological studies have also identified an association between consumption of water with high nitrate levels and thyroid function problems, development of certain kinds of cancer, diabetes, and birth defects among children of mothers exposed during pregnancy. 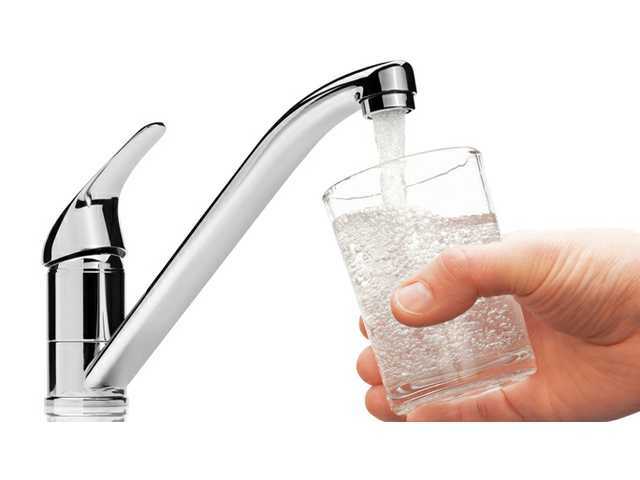 In an effort to respond to the health threat posed by elevated, unsafe, levels of nitrates found in many wells in the LaCrosse County townships of Holmen and Onalaska, the county health department convened the NWWTF in December of 2017. The task force was led by Jim Steinhoff, a veteran employee of the LaCrosse County Health Department’s Environmental Health Division, who came back from retirement to serve in the role. Steinhoff reported that the Task Force would take a stepped approach to understanding the situation and identifying potential sources of the contamination. In Wisconsin, 90 percent of groundwater nitrate contamination is estimated to have originated from agriculture, nine percent from septic systems, and one percent from other sources. There are 170,000 acres of farmland in LaCrosse County, most of which is cropped for feeding dairy cattle or for cash grain. A county zoning ordinance regulates farms with 200 or more animal units through a permitting process. The ordinance regulates the construction and operation of animal feedlots and manure storage facilities. County staff also provide nutrient management planning assistance to farmers with the goal being to provide the correct amount of nutrient needed by crops and limit the amount of nitrogen lost to groundwater and runoff. Babcock Genetics is a swine Concentrated Animal Feeding Operation (CAFO) located in the Town of Onalaska. The operation finishes 7,000 pigs annually, and manure is stored and eventually spread on surrounding cropland. Babcock Genetics’ 2017 annual report stated that 10,000,000 gallons of liquid swine manure was spread over 327 acres from June to August of 2017. There were six groundwater-monitoring wells located at Babcock Genetics, and each was sampled three times in 2017 for a total of 18 samples. Nitrate levels ranged between 2.81 and 38.1 mg/L, with 14 of the 18 samples exceeding 10 mg/L. This is similar to the results obtained from WDNR for the wells between 2010-2016. The monitoring wells are positioned to collect groundwater as it enters the CAFO and as it leaves the property to determine the impact of the operation. Not all CAFOs are required to conduct groundwater monitoring. The data suggest the CAFO likely has an impact on groundwater quality, and it is reasonable to assume the spreading of millions of gallons of swine manure on nearby croplands with permeable soil characteristics must impact the amount of nitrate leaching into the aquifer. NR 140 establishes groundwater quality standards for substances of public health concern including nitrate. LaCrosse County estimates there are 3,000 private septic systems within the two townships. The primary concern regarding wastewater systems is the effect they may have on nitrate levels in groundwater. Nitrate concentrations in groundwater usually exceed the drinking water standard of 10 mg/L near septic drain fields. A high density of septic systems is more likely to cause local groundwater contamination than a single system. An average-sized household using a septic system generates about 25 pounds of nitrogen annually. For all onsite septic systems nationally, this amounts to about 260,000 tons of nitrogen released per year. By comparison, chemical fertilizers amount to more than 12,000,000 tons of nitrogen. In Wisconsin, private septic systems are regulated through Chapter SPS 383 ‘Private Onsite Wastewater Treatment Systems.’ The administrative rule exempts private septic systems from meeting groundwater standards for drinking water. However, SPS 383(5) does not limit municipalities from establishing nitrate standards in local zoning ordinances. The NWWTF, made up of township citizens and County Public Health, Land Conservation, UW-Extension, and Planning Department staff, met monthly from December 2017 to June 2018. The task force was charged with developing public policy directed at reducing human exposure to nitrate in drinking water wells in the towns of Holland and Onalaska. The NWWTF met with experts from agriculture, USGA, and municipal public works to study the issue and develop strategies.